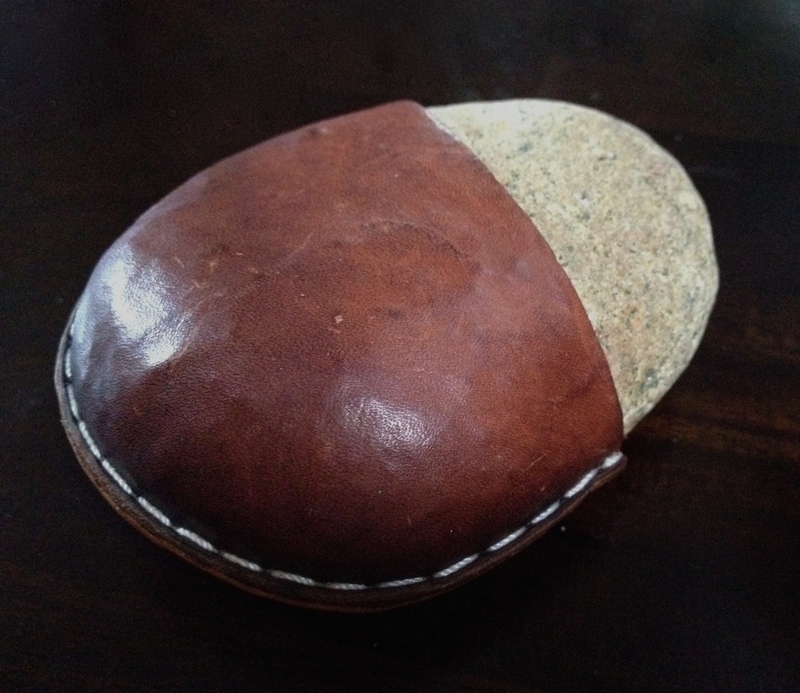 This is a medium sized stone from the Los Angeles area, fitting nicely in the palm of the hand. 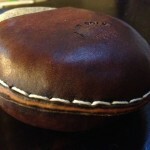 It is wrapped in rich, vegetable-tanned American leather secured by sturdy contrast whipstitching. 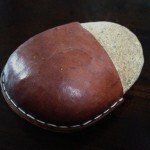 The leather is hardened using a traditional, non-toxic process. 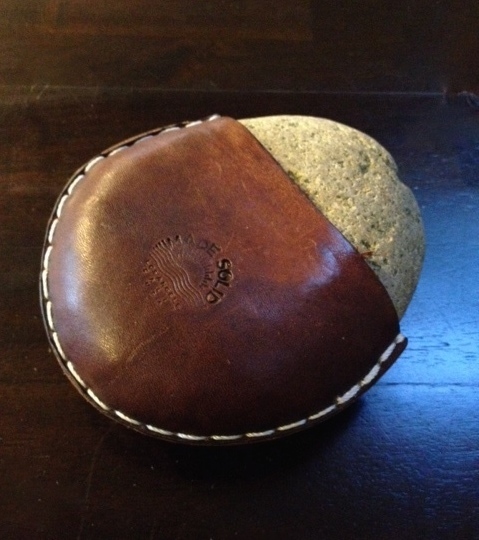 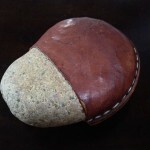 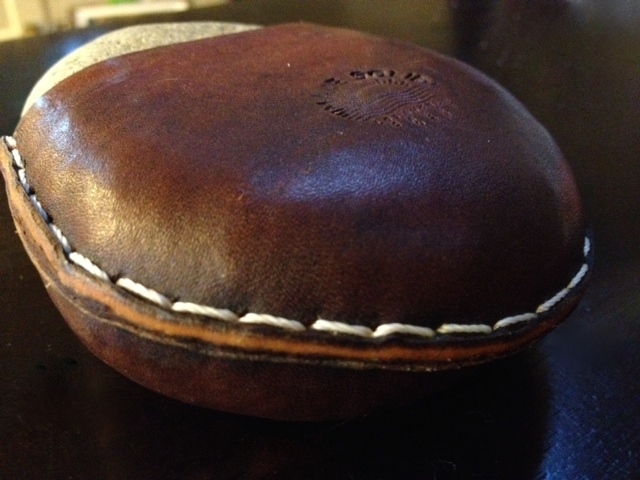 A simple idea and lengthy process produce one of a kind art objects of leather and stone. 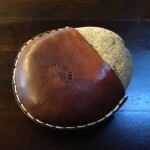 Each piece is ready for use or admiration. 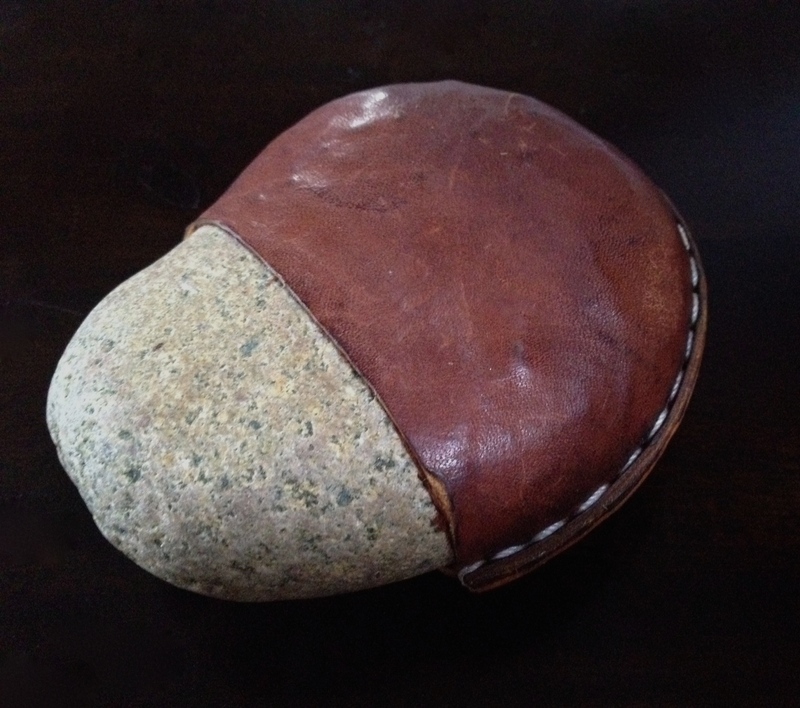 Let your mind wander and do what you feel with this leather wrapped stone.